Joseph P. Giambattista began his adjusting career in 1965 with General Adjustment Bureau, an independent adjusting firm. During his five years at General Adjustment Bureau, he was involved in several training programs and obtained on the job experience adjusting losses. At General Adjustment Bureau’s request, he attended an Advance Adjusting Course in Denver, Colorado. Mr. Giambattista holds a Bachelor of Science degree in Business Finance from Seton Hall University. 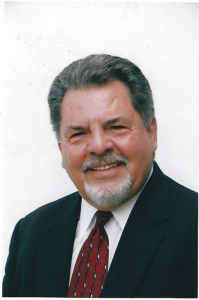 Mr. Giambattista began his Public Adjuster career in 1970 and has practiced his trade to the present. During his 53 years of adjusting experience, Mr. Giambattista has participated in the adjustment of property and casualty losses, time element losses, and the preparation of contents and building estimates. Mr. Giambattista is a past member of NAPIA and NJPAA. Mr. Giambattista has made numerous court appearances to testify on behalf of the insurance company and the assured. He has been qualified as an Adjustment Expert by the courts. Mr. Giambattista holds Public Adjuster Licenses in both New Jersey, New York, Pennsylvania and Florida. He is the owner of Sarasohn & Company, a Public Adjusting Firm.